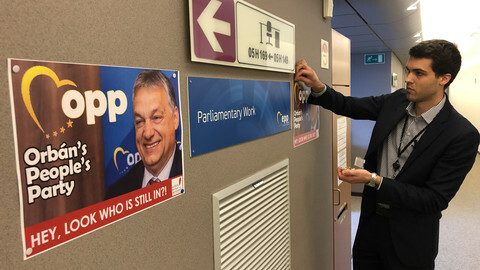 Britain has taken steps to hold European Parliament (EP) elections in May, triggering anger by eurosceptics in what could turn into an informal second referendum on Brexit. 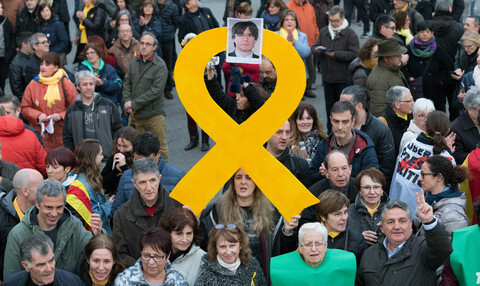 "As a responsible government, today we have taken the necessary steps required by law should we have to participate," a British government spokesman said on Monday (8 April). 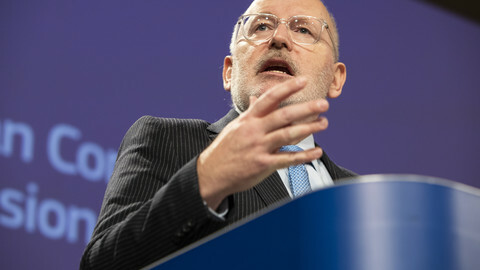 "It does not make these elections inevitable, as leaving the EU before the date of election automatically removes our obligation to take part," he added. The British EP vote is to take place on 23 May. Britain has 73 out of 751 seats in the EU assembly. The so-called Brexit party, led by British eurosceptic MEP Nigel Farage, immediately announced that it would contest 70 of them and that the government would be "in for an almighty shock should they continue to delay Brexit". The UK voted by 52 percent against 48 to leave the EU in a referendum in 2016. But despite Farage's warning, opinion polls in recent months have showed a clear lead by people wanting to stay in the Union, in what could see the British EP election punish anti-EU candidates and give political impetus to those who want a second referendum on Brexit. The EP vote decision met with anger from British prime minister Theresa May's own Conservative party. 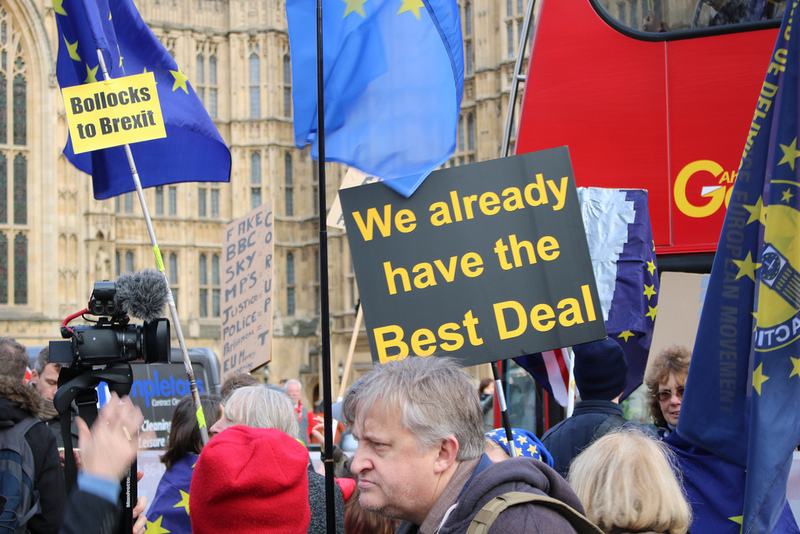 "All over the country there is a firestorm about the fact we could be involved in European elections," Bill Cash, a eurosceptic Tory MP, claimed. "Brexit may not mean Brexit," Eddie Hughes, another Tory Brexiter, also said. 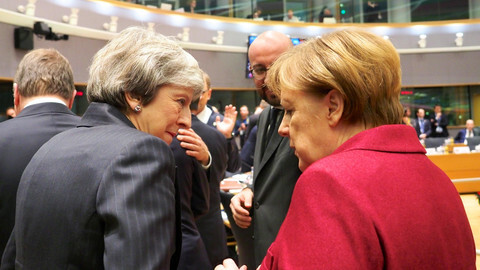 May's EP decision came as she prepared to travel to Berlin and Paris to meet with German chancellor Angela Merkel and French president Emmanuel Macron to seek a second extension of the Brexit date. The UK was originally due to leave on 29 March. 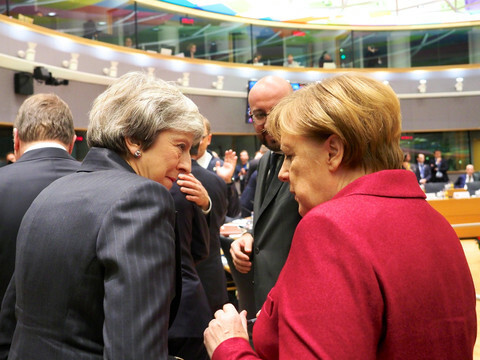 It is now due to leave on 12 April, unless the other 27 EU leaders, at an emergency summit on Wednesday, agree to extend the date to 30 June as requested by Britain. May is at the same time holding talks with the opposition Labour party to build a majority in favour of her EU withdrawal accord. The deal was already rejected by MPs three times, but the majority against the accord has shrunk from 230 votes to just 58, allowing May to argue with Merkel and Macron that a further Brexit extension could allow her to push through a modified agreement. But the Labour leader, Jeremy Corbyn, wants the UK to stay in the EU customs union, amid other changes to the original accord. May had "not yet moved off her red lines" on the customs arrangement, Corbyn said on Monday. "Both us and the government have approached this in the spirit of trying to find a way forward. We haven't found that yet. We will continue to do that," Labour's shadow Brexit minister, Keir Stramer, added. The British debate came amid a bid by four Danish, Finnish, German, and Italian far-right parties to form a new EP group after the vote. 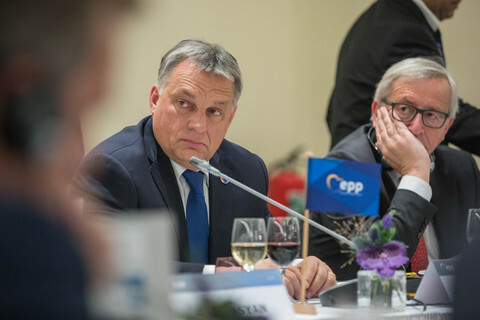 The group, to be called the European Alliance for People and Nations (EAPN), will bring "radical change" to the EU, Joerg Meuthen, from Germany's far-right AfD party, said at the project's launch in a congress in Milan on Monday. "We need to build a fortress in Europe", to keep out migrants, he added. "We welcome all political parties - conservatives, patriots, people who really live what they talk. There are many such political parties," he said. The French far-right National Rally party will also take part, Italy's far-right deputy prime minister, Matteo Salvini, said, adding that a second congress, to be held in Milan on 18 May, will see the EAPN's ranks swell. 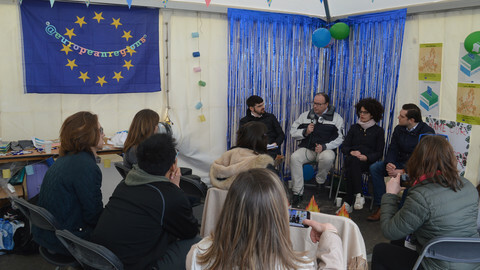 "Today, for many citizens and peoples, the European Union represents a nightmare," Salvini said. "Those who are undermining the European dream (are) the bureaucrats, the do-gooders, the bankers, who have governed Europe for too long. We want to bring the people back to governing Europe," he added. "The aim is to become the top European group, the most numerous," Salvini said. 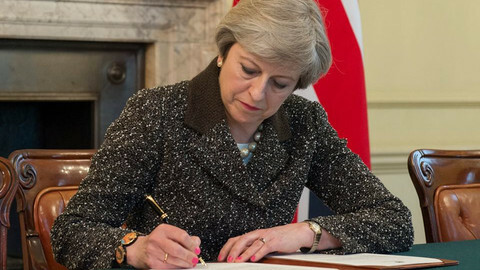 British prime minister Theresa May asks the EU to further delay Brexit, until 30 June - which means the UK will start preparations to hold European elections. Meanwhile, EU Council president Donald Tusk mulls a year-long flexible extension.